Nokia unveiled a new free music service for the U.S., aptly called Nokia Music and available now. The core of Nokia's free service provides more than 150 playlists to browse, curated by a group of U.S. expert "musicologists." Along with the expert selection, playlists created by various artists will also be available from the likes of Lady Gaga, Lana Del Rey, and Rihanna. Users hoping to put a more personal touch on their music selection can also use the Nokia Music create feature to generate a playlist based on a particular artist, drawing from millions of songs in the Nokia Music library. Nokia is making a good case for users to try out its Spotify rival, making the service available both for free and ad-free with the ability to still access playlists offline. Nokia Music also offers a "gig finder" feature, using location data to discover live music shows and concerts happening nearby. "The USA is the most vibrant and competitive digital music market in the world - by a wide margin," said Nokia VP of entertainment Jyrki Rosenberg. "We have worked extra hard to ensure our service meets the expectations of the demanding, active and inspired music fans in the USA." 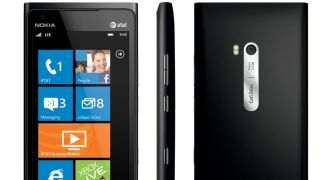 The only catch is that Nokia Music is exclusive to the company's own smartphones, currently only running on the Lumia 900 and Lumia 710 handsets. However, the imminent onset of Windows Phone 8 devices next month should bring a slew of new Nokia Music capable smartphones to take advantage of the streaming service.